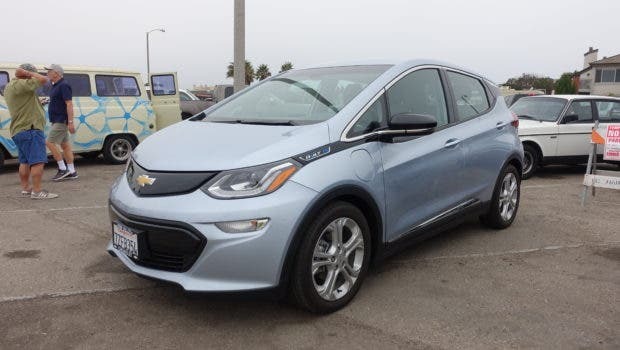 A Chevy Bolt takes a 2,000 mile road trip, revealing the importance of Level 4 charging. As more and more electric vehicles hit the roads around the world, more stories come out about the zany things people try to do in them. A reader over at Green Car Reports picked up a Chevy Bolt and decided to put it to the test in a real-world road trip. Over the course of 2 weeks, he put right around 2,000 miles on it, which he documented in great detail. Charging, specifically, became a highlight of the trip, as they sought to weave in as many public level 2 and 3 chargers as possible as well as a handful of overnight stops with level 1 charging. Level 1 charging typically pulls down 1.1 kilowatt-hours per hour. At 28 kWh per 100 miles, that nets out to 11 kWh for a 10 hour charge and an extra 40 miles or so of range. That’s not going to get you home, but it’s worth taking every opportunity to charge when there’s a plug. One thing I like to do in our electric cars is keep a personal electric vehicle in the trunk or frunk so that I can drop the car off at a charging station if it’s close to where I’m going and then ride an electric skateboard or Solowheel to my destination. It’s a great way to increase my options for charging while also making for a good excuse to get out and ride. Dave had a few chargers that required some extra walking and a personal electric vehicle would have made this less of an event. What’s exciting about the journey is that it’s possible to do a long-distance road trip, but it takes work. 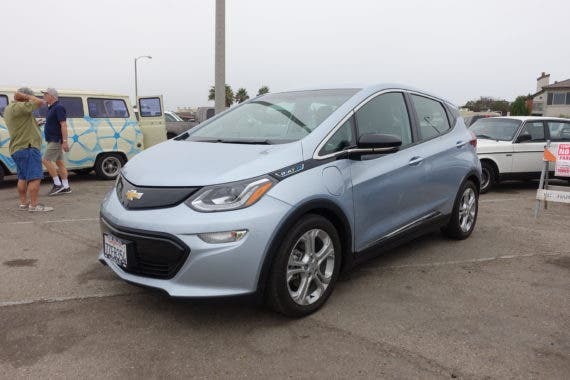 The driver of the Bolt, David Edwards, noted that he added WiFi to his Bolt, loaded up the charging points, and did his homework before leaving, in order to make sure he had as many options as possible when out on the road. Even with his careful planning, he hit a few snags along the way — encountering an ICE’d charger in Philly as well as a finicky level 2 charging station that was down. Thankfully, he was able to reboot it and use it to charge up overnight, but these issues highlight a need for a charging network that’s more reliable. Dots on a map don’t help if the station is down or ICE’d when you get there. On the other hand, the amount of effort required to make the trip happen highlights how far we still need to go in terms of deploying a robust DC fast charging network that all plug-in cars can use. Most publicly deployed chargers are government-subsidized chargers that put out power at a rate that, while helpful, is not sufficient for longer distance travel for the masses. It’s critical that charging network operators improve on the speed of charging to enable both shorter pit stops as well as more throughput in terms of the number of cars served per day. We are getting there, but with thousands of new plug-in vehicles hitting streets each week, the demand for faster charging networks is increasing quickly. I talked about this road trip with CleanTechnica reader Gene at the National Drive Electric event in Oxnard, California, yesterday and he shared that he just returned from a 3,000+ mile road trip in his Model 3 and it was essentially a non-event. Driving a Tesla, all worries about public charging simply go away. It’s a non-issue. Switch the conversation to literally any other EV and charging becomes the focal point of the trip. Have you taken a road trip in your EV? What was your experience? Let us know what your experience was in the comments and what the opportunities were for improving upon that experience moving forward.